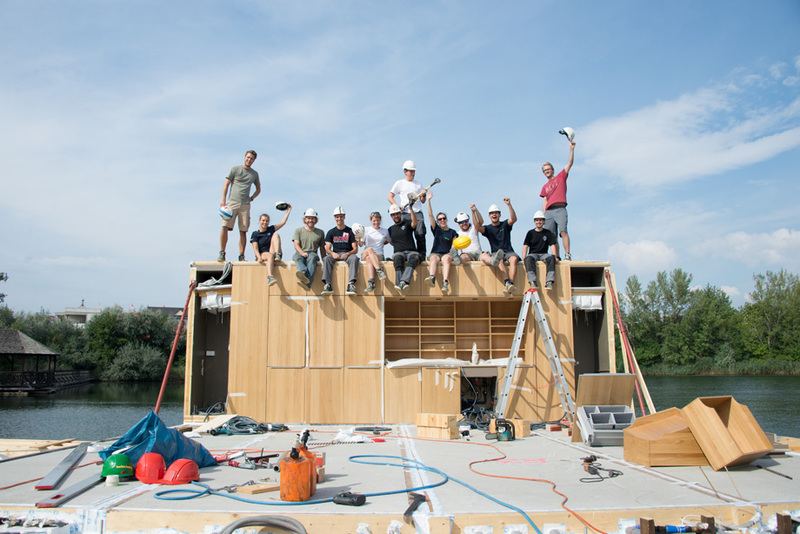 After a rather long hibernation period – in which we minimally adapted LISI’s plans to Austrian conditions and her future site – the day of rebuilding the winner of the Solar Decathlon 2013 drew nearer. We always knew, LISI had to be displayed in a place where she would have the most impact, raise awareness on solar houses and quite possibly meet potential customers. One location that came to mind was the ’Blaue Lagune’ (”Blue Lagoon”), a model home village just south of Vienna. LISI would be presented in a new dedicated ’Architecture and Innovation’ area, a place where one would find not only information on LISI, but also on all things regarding the Decathlon and solar building. 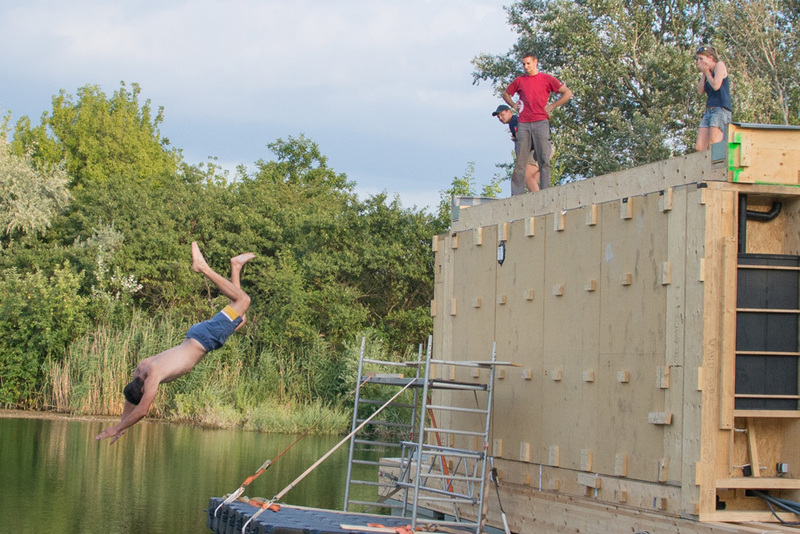 In keeping the spirit of the competition alive and focusing on the category ’innovation’, we decided to reconstruct LISI as a swimming house ON a lake in the lagoon. This of course meant a huge change and adaption in the entire base construction; LISI would no longer be connected to the ground but be placed on swimming pontoons, keeping her afloat. 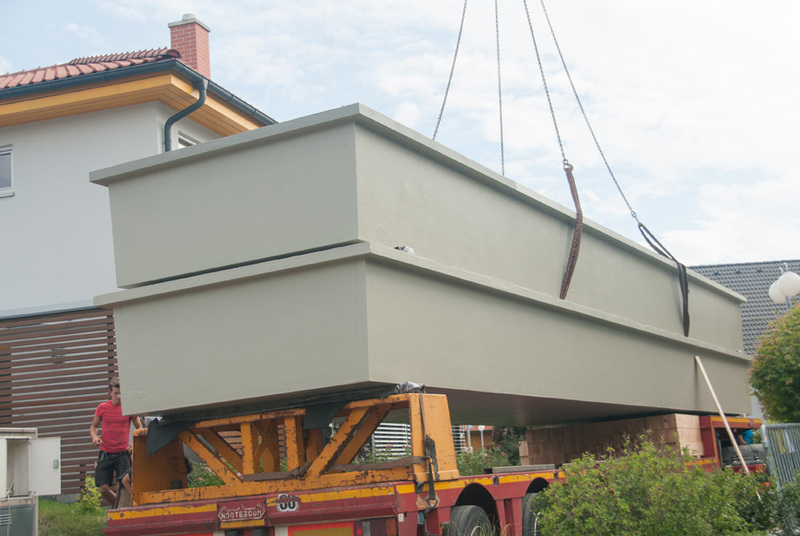 Since this would be a risky undertaking with the possibility of placing the entire house under water, we decided to get some professional help. 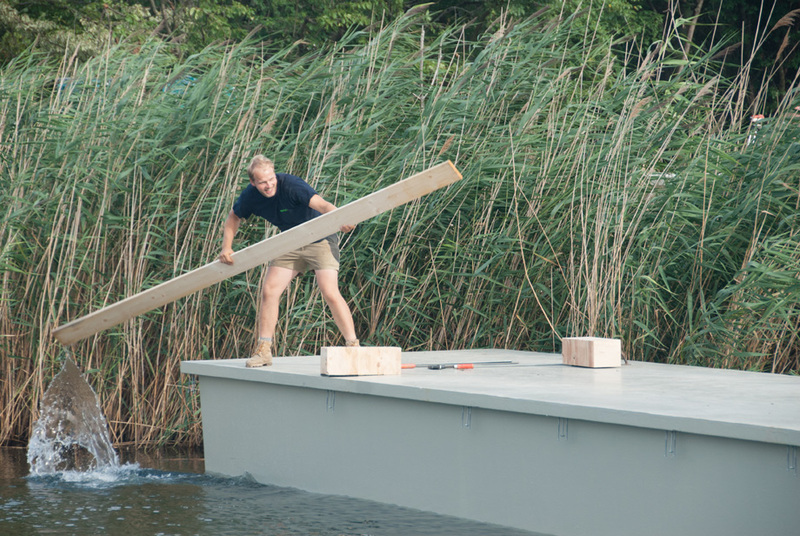 Marine architect, Paul Schöpf, was able to create and patent wooden pontoons that could easily carry LISI. 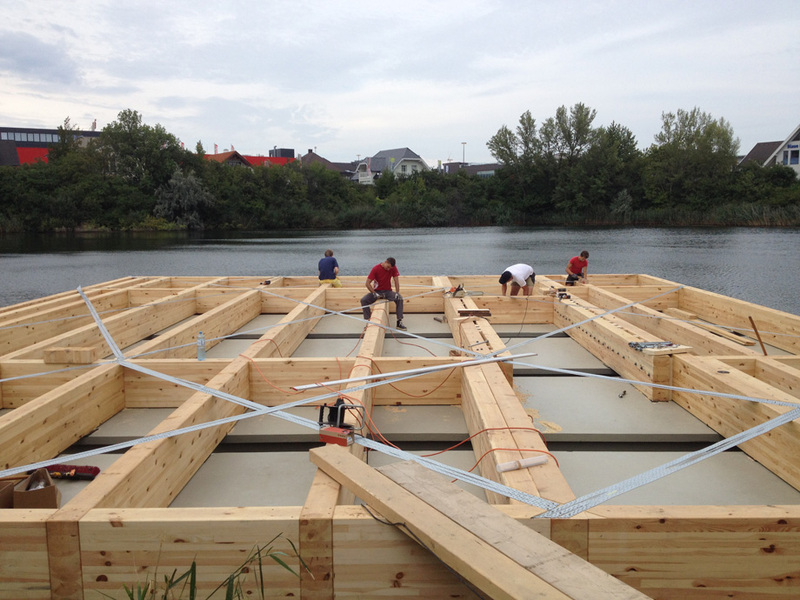 A minimized weight is the result, further optimizing the entire construction, but the true clue with these special pontoons lies within their material. 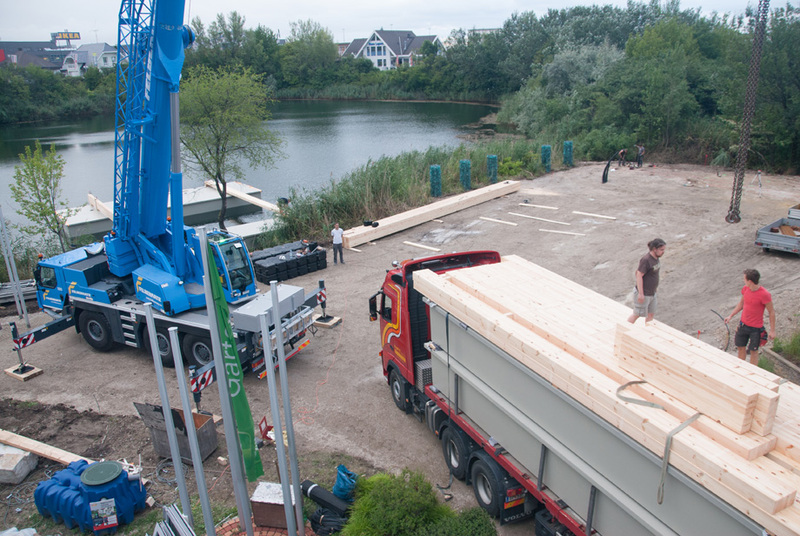 Since they are entirely made of wood, LISI is able to extend her core principles to this new foundation with the help of timber-construction company Haslacher. Even if we will not beat the Californian record of eight days construction period this time, we are registering a steady progress on the new, wet construction site.